Modern Ikebana Glass Vases. 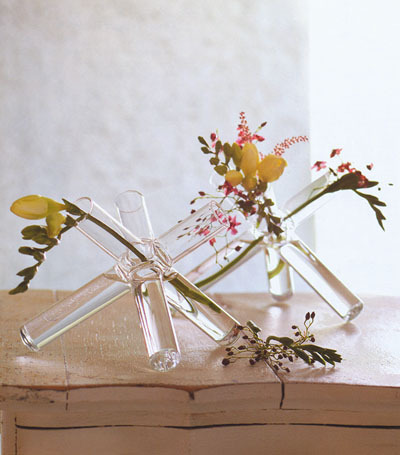 These finely crafted glass vases bring tribute to Ikebana, the Japanese art of flower arrangement. 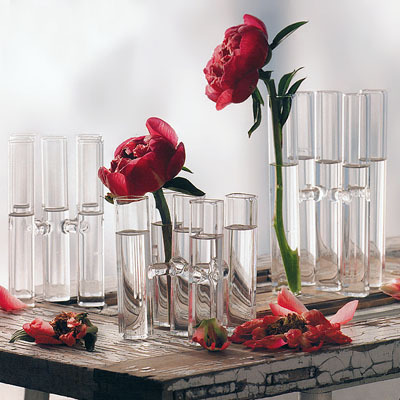 Select from several styles; including a cube vase, circular shaped vase, starburst vase or tube cluster vase. 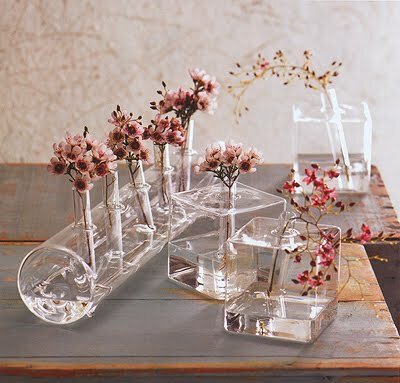 These exceptional glass flower vases create an elegant display on the table top. A refined tribute to the beauty of the flower without being to overwhelming.